Right now in the DFW suburbs we're at that balance between getting hot and OMG, who turned on the convection oven setting with our weather. In other words: Patio Weather. In the evening I like to sit outside with the dogs and browse through cook books and magazines and meal plan. By meal plan I mean something for my lunches, since The Aussie is not an adventurous eater. This week I was inspired to make an Asian dish called Mee Goreng, which basically means to "fried noodles." There are probably as many recipe variations as there are street vendors in Singapore, Malaysia and Indonesia that sell it. 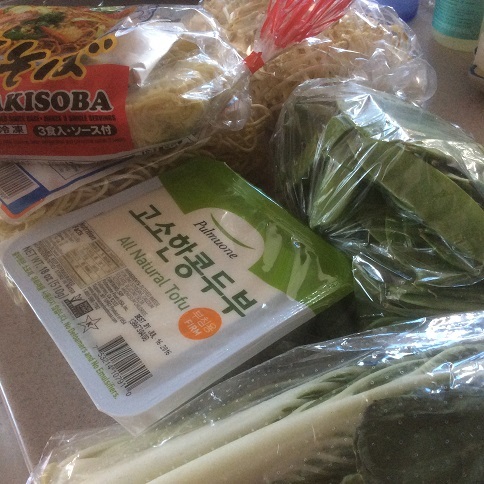 One trip to Super H Mart later, I submit my variation. Heat up large pan or wok over high heat, drizzle in your oil (peanut oil is good for high heat cooking). Add in diced onion and cook for a few minutes until soft. Move onion off to the side and place the tofu slices in the pan. Cook for at least 5 minutes to get a nice golden color on the pieces. Next, add in the snow peas, garlic and choy sum. Stir to mix together (it's fine that the tofu starts to break up, you want that). 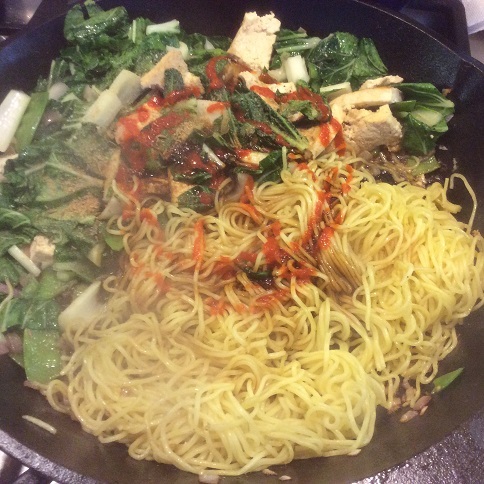 When the choy sum has wilted a bit, move it over to the side and put the noodles in the pan. At this point, I added a little more oil, but it's completely optional. Drizzle on the sriracha, kecap manis, soy sauce and sesame oil. Stir to coat. 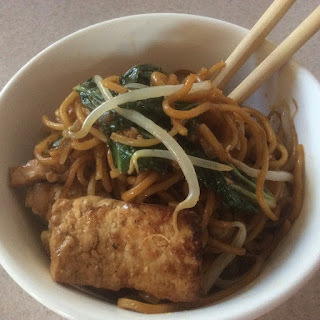 Cook for several minutes until the noodles get hot and soften up. Just before serving, toss in a good handful of bean sprouts. They won't cook fully, and will add a nice crunch. 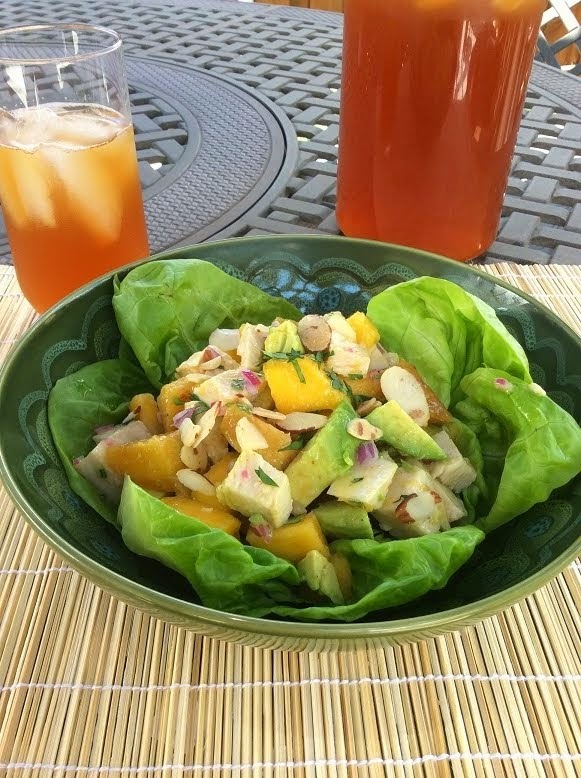 Some traditional garnishes are fried shallots or chopped peanuts, along with lime wedges. I sprinkled on some TrueLime, stirred it, and served it with a side of chopsticks. Enjoy!